Stora Råby Kyrka is the 13th century church of the small village Stora Råby on the southern outskirts of the university town Lund. 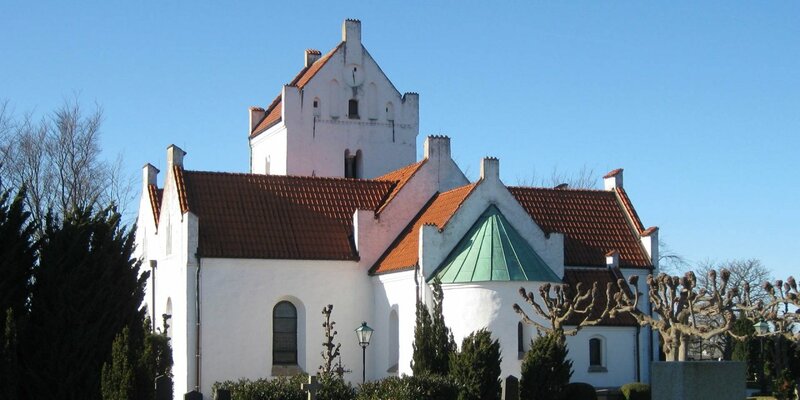 The medieval builders of the Stora Råby Kyrka have chosen a pretty place when they erected the church on the top of a 20 meter high hill. Where a small wooden church had previously been built, the present church was made of bricks on a base of natural stones and boulders. 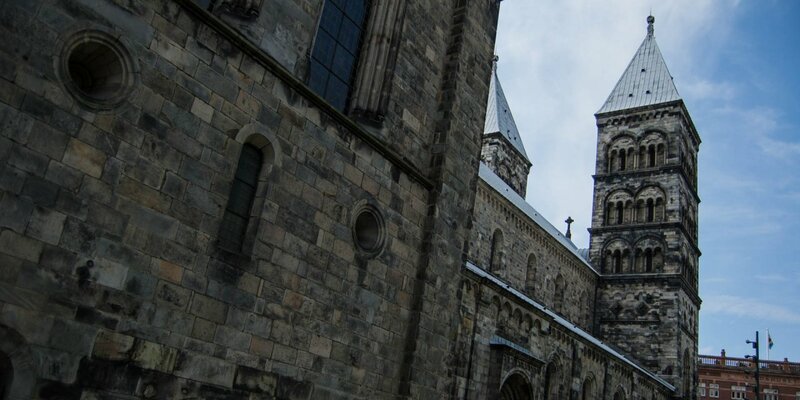 At first, the church consisted only of nave and choir. 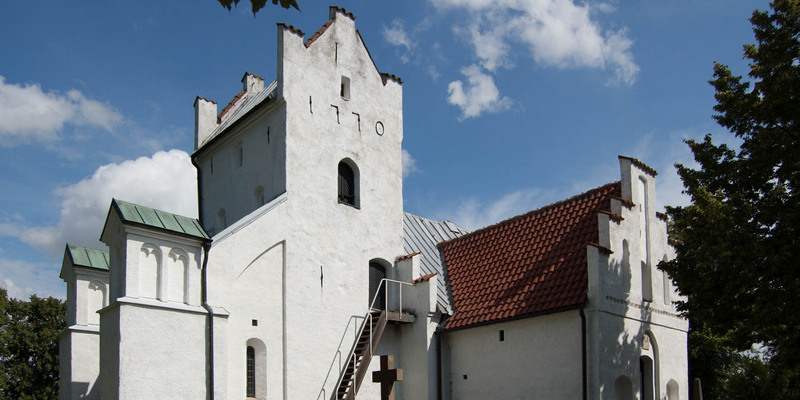 In the further course of the Middle Ages, the large church porch was first built as a southern entrance portal, and the massive bell tower followed a little later. Towards the end of the Middle Ages the wooden ceiling was replaced by vaulted arches. Stellar vaults in the nave and classical cross vaults in on the ground floor of the tower and in the altar room. During a restoration in 1909 the remains of medieval wall paintings on the north wall of the nave were uncovered. The medieval altarpiece was replaced by stained glass and a new pulpit was installed. 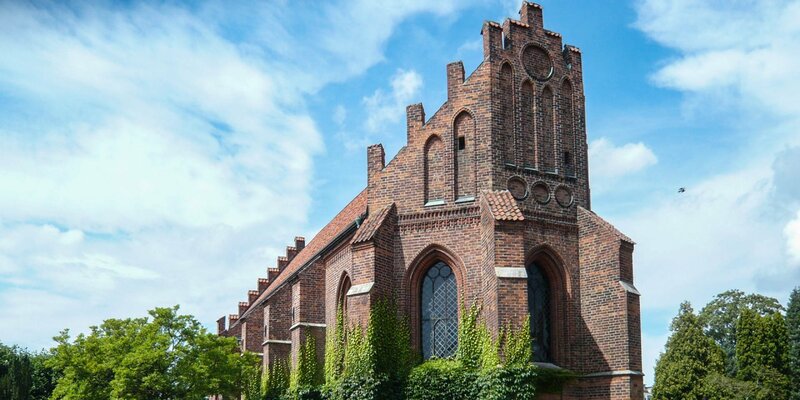 The old altarpiece and the pulpit are located in the Historical Museum in Lund. The oldest church inventory includes the carved sandstone baptismal font from the 13th century and the baptismal bowl dating back to 1690. Next to the baptismal font is a Madonna statue from Oberammergau which color design matches the other objects in the church like the pulpit and the pews.